Teresa is a founding member of the BACP's coaching division and the only coach in Wolverhampton to gain full registration status with the prestigious Association for Coaching. She is passionate about leadership and uses her Masters degree in psychotherapy and qualifications in both training and coaching to deliver an evidence based approach to coaching, which is grounded in established theories of adult learning, cognitive behavioural coaching, solution focussed coaching and positive psychology. She brings a powerful combination of business experience and psychological insight to help clients achieve transformational change. Teresa Lewis is a Senior Accredited psychotherapist with the British Association for Counselling and Psychotherapy (MBACP Snr. Accred). Qualified in 1995, Teresa has been providing counselling and psychotherapy treatment for 24 years. Now in her late 40's Teresa has completed over 15,000 therapy sessions and has successfully dealt with a wide range of issues from anger management to health anxiety. Teresa holds a masters degree in counselling and psychotherapy and is a qualified EMDR practitioner having completed training accredited with EMDR Europe. As a recognised expert in her field Teresa is frequently asked to conduct editorial reviews and endorse counselling and psychotherapy books for international publishing houses. Teresa is founder and director of multi-award winning Lewis Psychology. She is a proactive and dynamic professional, combining extensive executive management experience with a successful background at senior command level. She is a motivational and inspirational leader capable of coaching and empowering individuals to enable them to fulfil their potential whilst ensuring that they make a positive contribution to the achievement of objectives. Teresa brings a powerful combination of business experience and psychological insight to help clients achieve transformational change. Teresa is the founder and director of award winning Wolverhampton practice, Lewis Psychology. 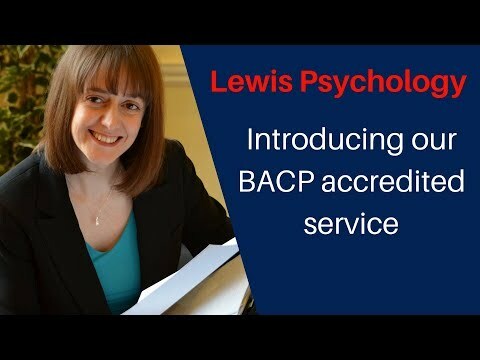 Lewis Psychology is the only organisation in Wolverhampton to gain service accreditation status with the British Association for Counselling and Psychotherapy (BACP). BACP Service Accreditation demands the highest standards of practice and is considered by many to be the highest honour in the field. The BACP Service Accreditation sets the standard to which all services can aspire to and demonstrates a commitment to excellence. Teresa regularly delivers an eight week Accredited Breathworks Mindfulness for Stress course. The Mindfulness course consists of 8 x 2-hour group sessions, where there will be guided mindfulness practice and theoretical teachings. Each week participants are taught a number of different mindfulness practices that can be incorporated into daily life to reduce stress and aid general wellbeing. Teresa also delivers a post graduate eight week Mindfulness Based Compassionate Living (MBCL) course. This course integrates the work of experts in the field such as Paul Gilbert, Kristin Neff, Christopher Germer, Rick Hanson and Tara Brach. Erick van den Brink and Frits Koster developed this eight step Mindfulness Based Compassion Living training programme which is supported by practical exercises and free audio downloads. Grounded in ancient wisdom and modern science, this course demonstrate how being compassionate shapes our minds and brains, and benefits our health and relationships. We are located at Deansgate, 62-70 Tettenhall Road, Wolverhampton, WV1 4TH. Deansgate has been refurbished to an exceptionally high specification, it is a landmark property that dates back to the early 18th Century and has retained its period featuresthroughout. We are situated on the ground floor and there is full disabled access at the rear of the building. There is a free onsite car park at the front and rear of the building for up to 82 cars. By car: Lewis Psychology CIC is on Tettenhall Road (A41) approximately a half a mile from Wolverhampton town centre. By bus: If you are travelling via public transport Lewis Psychology CIC is on the Tettenhall bus route (the number one bus) from Wolverhampton bus station. You will need to get off the bus on Tettenhall Road just before the Shell garage. The bus stop is directly across the road from Lewis Psychology offices. By foot: Approximately a 15 minute walk from Wolverhampton city centre. If nobody is available please leave a message on the confidential 24 hour answering service and your call will be returned. Coaching can be highly effective even in one single session and produce sustainable and lasting results. In a market where ten session packages or six month contracts are the rule, Lewis Psychology stands out. We do not ask clients to pre-pay or sign up for a set number of sessions in advance. Please click here to find out more about our fees. Teresa Lewis helps organisations to get the very best from their people and in helping people to get the very best from their career. Executive Coaching provides an essential source of support and development for leaders and mangers. It is a meaningful, confidential, goal-focused conversation that enables leaders and managers to take time to think, to understand and gain personal and strategic clarity. Coaching is invaluable during times of transition, when specific skills need fine-tuning or when key people just need time to fully focus on the complex issues that can help or hinder performance at individual, team and organisational levels. All leaders and managers face demands, having an experienced Executive Coach working alongside you in a professional partnership will help you to focus on meeting these demands, develop vision, new skills and insights, and enhance your success and performance. There are several dedicated disabled parking bays and an access ramp to the building. Doorways are widened and will allow access to most manual and electric mobility scooters. Lewis Psychology offices are on the ground floor.